Last time I heard At Vance was 2009’s rather bland Ride The Sky, so 3 years on hopes were high for a return to glory days of The Evil In You, fortunately that is what I am hearing. Back is the focus, the power and melodicism that made At Vance so enjoyable back in the day. What’s more guitar and main man Olaf Lenk and vocalist Rick Altzi finally sound like a partnership that works. Couple that with drum work from Casey Grillo (Kamelot / Consortium Project) and bassist Chris Hill and this is a blistering four piece. Opener Heaven Is Calling is fast paced, very European in nature and full of metallic charm. Melodic waters are tread on Facing Your Enemy which is home to a grandiose chorus and great solo from Lenk. Eyes Of A Stranger boasts a blistering riff and delivery. Fear No Evil may be the pick of the bunch, boasting a Malmsteen Odyssey style combination of melody and commercial sheen, Altzi delivers a fine vocal here but it’s the pomp and epicness of the track that send shivers down the spine. Live & Learn suffers a little in comparison to its predecessor but is still a fine number. Tokyo might not have the best chorus in the world but its home to some fine fretwork. The brief instrumental March Of The Dwarfis a nice addition before the double bass drum assault of Fame & Fortune sees the band firing on all cylinders. Downsides? Ballad Don’t Dream plods on a little too long and See Me Crying also drags a little and acoustic closer Things I Never Needed sees the album out with a wimper rather than a bang. That said Facing Your Enemy sees the band enter the third decade of their career in fine shape indeed. Fans of classic metal with neo-classical and power metal tinges pick this up asap. Welcome back. 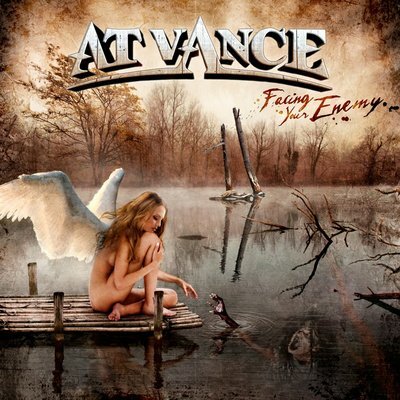 This entry was posted in Reviews and tagged At Vance, Facing Your Enemy, Olaf Lenk, review, Rick Altzi. Bookmark the permalink. 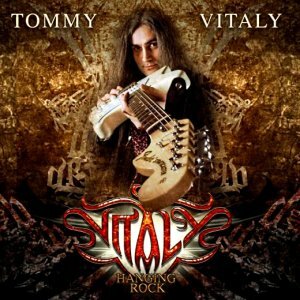 Second strike from Italian guitarist Tommy Vitaly following up 2010’s rather average Just Me. Hanging Rock continues the neo-classical power metal tinted theme and sees Tommy team up with a stellar cast including Mats Leven (ex Malmsteen / At Vance), Carsten ‘Lizard’ Schulz (Evidence One) and Zak Stevens (Savatage) not to mention guest guitar solos from Norifumi Shima (Concerto Moon) and David Shankle (DSG) along with a two keyboard solos from Ferdy Doernberg (Axel Rudi Pell), quite a guest list for sure. That said you all the guests in the world don’t make an album if the material isn’t up to scratch. Hanging Rock is for all intents and purposes a better album than its predecessor with a more cohesive direction, yet is still let down massively by a weak production which will really hamper your enjoyment. You get the impression a rough demo was created and then sent to the pressing plant, it kind of sounds like a budget version of Iron Maiden’s most recent awful Kevin Shirley productions i.e. lacking in power and any bite and polish. Which is a shame as there is some good tracks here, notably in Run With The Devil, Hands Of Time, Idol and the sweet instrumental Misanthropy. Overall it is an improvement over its predecessor, yet sadly still lacking the edge to get it anywhere out of average. Next time hopefully the production issues will be sorted and we will see a proper representation of Mr Vitaly’s work. This entry was posted in Reviews and tagged Axel Rudi Pell, David Shankle, Ferdy Doernberg, Hanging Rock, Norifumi Shima, review, Rob Rock, Tommy Vitaly. Bookmark the permalink. 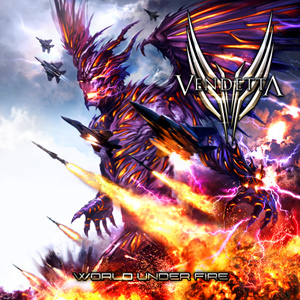 Third strike from the UK traditional metallers, and with “World Under Fire” Vendetta continue the good work heard on their previous two efforts and once again come equipped with great artwork courtesy of the bands very own Pete Thompson. My initial thoughts where that “World Under Fire” was perhaps lacking a little of the tempo of its predecessor, subsequent spins reveal that whilst this is true it’s a move that yields a more complete package and shows stronger song craft in favour of faster tempos. From the opening 1-2 punch of “Halo In Black” and “Machtpolitik” it’s obvious the dual guitar tag team of Edward Box and Pete Thompson are the six string equivalent of Demba Ba and Papiss Cisse (one for the NUFC fans) and firing on all cylinders, whilst Gary Foalle and Lee Lamb are the tight unit this genre requires. Edward Box’s dual role as lead vocalist also sees further strides with his voice full of confident swagger, special note must go to his strong lyric writing as well. Highlights are plentiful – “Veil Of Empathy” has a classic Dokken style swagger to it and a nice blend between light and shade, some great riffing in this one and a glorious swooping melody line on the bridge and chorus. “Lords Of Chaos” is an angry beast with a nice double bass drum inflection on the chorus from Lee Lamb. “Fragmented Reality” is about as fast as the album gets and is a nice high speed romp which probably benefits from not having to compete with other tracks of similar speed. My personal favourite is the strident 80’s melodic power metal (the Fifth Angel/Metal Church kind) feel of “The Ghost Inside” which again contrasts melody with power, a contender for riff of the year right here too. The 7 minute epic “All Your Setting Suns” delivers something new from the band and is another success, multi-dimensional its good to hear the band laying back on the beat, so many would feel the urge to speed it up and ruin the overall effect and its builds nicely and comes complete with some great dual twin lead work. “We Are Legion” sees the album out at a fair tempo and sees the album out with a strong kick. Third albums are often more difficult than the perceived “difficult second album”. Edward Box concedes that this album wasn’t without its problems in the creation process, yet the final product is one that sees a more mature sound from Vendetta and all things considered it might just be the best of the lot yet from the band. This entry was posted in Reviews and tagged edward box, gary foalle, lee lamb, pete thompson, review, Vendetta, World Under Fire. Bookmark the permalink. Trixter rode the tail end of the 80s hard rock craze. I have to admit both their albums (released in 90 and 92 respectively) passed beneath my radar at the time. Like so many of their contemporaries, Trixter have seen fit to reunite. As I’m not familiar with their earlier material, I can’t say whether or not the band has strayed far from its original sound. What’s on offer here is enjoyable, summertime hard rock. Cliched? Sure. Dangerous? Hardly… (Which means they are now as they were then – Editor). But if you enjoy tapping your foot while humming the chorus, there’s plenty on offer. It’s typical 80s LA fare. Done quite well. A very palatable blend of melody and old school fun. I’ve said this before, but this is one of those albums that’ll take you right back to 1989. For better or worse. Comparable bands? Cry Wolf comes to mind, but Trixter are a more lightweight unit. Production could have been better (as is so often the case these days) but isn’t distracting. 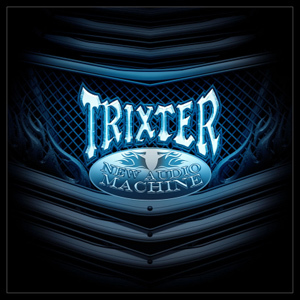 This entry was posted in Reviews and tagged New Audio Machine, review, Trixter. Bookmark the permalink. Riding on the wings of the continuing saga of Anvil’s new found popularity, SPV has seen fit to reissue some of Anvil’s 90s albums. Package one sees the combination of Plugged In Permanent and Absolutely No Alternative. These albums were released during the darkest days of the anti-metal backlash that scoured the 90s. And it shows. Both albums are gritty, quite dark and angry for Anvil standards. Unfortunately, there’s too much emphasis on rage and not enough on songs. The second edition combines Speed Of Sound with Plenty Of Power. By now, the turning of the century, metal was on the up again. Both albums are more reminiscent of classic Anvil than either of their predecessors. There’s more catchy choruses and a generally more upbeat feeling. Anvil have never wavered, but these reissues do show they occasionally dropped the ball. This entry was posted in Reviews and tagged absolutely no alternative, Anvil, Plugged in Permanent, review. Bookmark the permalink. After their excellent comeback album “Blood Of Nations”, every metal fan has to be curious to see if Accept can keep the momentum going with the follow up, sensibly titled “Stalingrad”. Ahem. Whereas “Blood Of Nations” was a bit long, at 15 or so songs, “Stalingrad” clocks in at a sensible 47 minutes spread over 10 tracks. There’s very little to criticize about the songwriting. Solid Teutonic metal fare. Unfortunately, none of the quirkier moments that graced albums like “Metal Heart” or “Russian Roulette”. The title track sums up 21st century Accept and indeed this entire album. Overall it’s a well paced album, with fast tracks like the fiery “Flash To Bang Time” or “Revolution” balancing the more epic fare like opener “Hung Drawn And Quartered” or album closer “The Galley”. The melodic second half of “Hellfire” is a pleasant touch. The band’s performance is obviously beyond reproach, and overall production is quite good. Except for the artificial guitar tones. Cheap, almost. Apparently, this album is a showcase for the Kemper Profiling Amp. Don’t quit your day job, guys…Is it me, or does Mark Tornillo sound more like Udo than he did before? 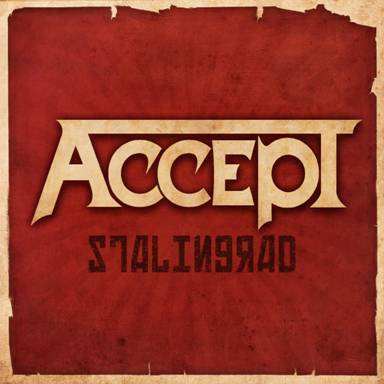 “Stalingrad” confirms Accept as leaders of the European metal scene. This entry was posted in Reviews and tagged Accept, review, Stalingrad. Bookmark the permalink. “Ahead Of Time” arrives four years after the self titled debut album and marks the second chapter in the history of Frozen Rain. In 2008 the dream of the Belgian song writer & multi-instrumentalist Kurt Vereecke became reality when the first album of his AOR / Melodic Rock project was released. Positive feedback has led to a second album in “Ahead Of Time” and is rather impressive indeed. Some band line-up changes have happened over the last 4 years with most notably guitarist Rik Priem joining the band and one of German rock’s most distinctive voices handling all lead vocals, namely one Carsten “Lizard” Schulz. The two additions have paid dividends as this is a very strong slice of AOR/melodic hard rock in the vein of 1987-era Whitesnake, Journey and some hints of mid/late 80’s Bon Jovi. Essentially this highly melodic fused hard rock, with strong hooks, guitar work that scream’s 80’s and parping keyboards along with a driving rhythm section. Nothing is breaking new ground but who cares when its written as strongly as this and performed with gusto. Guitarist Rik Priem comes across as a hybrid of John Sykes and Neal Schon and has the fine line between melody and speed down nicely; albeit with a very fx heavyguitar tone and over-reliance on the tremolo bar for vibrato. Carsten Schulz sings in lower more smokey timbres than heard on other recent works from him off late, with these being well suited to the material and show his skill at delivering outside his more traditional heavy metal genre. Highlights to these ears are opener “Believe It Or Not” which is equal parts Blue Murder and East Coast AOR and home to a superb feel and melodies. The great melodies rear their head again on “Breaking Out” where the keyboards yield pomp style majesty and whilst a throwback to yesteryear it’s done as well as any of the major names still going. Likewise the power ballad “Too Late” is everything you’d want in such a number with Schulz even going all Jon Bon on us whilst “The Way That You” begs for the Californian highway in a convertible car. Elsewhere everything is still of a strong standard with good melodies and overall good performances and it all adds up to a very good album indeed. Sonically there are no issues either with a big sound courtesy of mix by Alessandro Del Vecchio (Eden’s Curse) and mastering by Dennis Ward. Overall “Ahead Of Time” is a throw back to the glory days of AOR, and one of the best examples of the genre you will hear in 2012. Check it out. 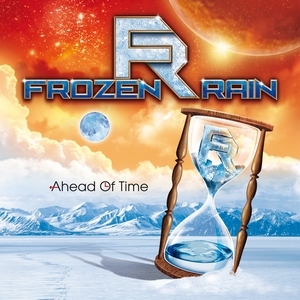 This entry was posted in Reviews and tagged Ahead Of Time, Carsten Lizard Schulz, Frozen Rain, review. Bookmark the permalink.